Thromboembolism Prophylaxis in Hip Arthroplasty Routine and High-Risk Patients. Denis Nam, MD, MSc, Ryan M. Nunley, MD, Staci R. Johnson, MEd, James A. Keeney, MD, John C. Clohisy, MD, Robert L. Barrack, MD; Journal of Arthroplasty 30 (2015), 2299-2303. A Mobile Compression Device for Thrombosis Prevention in Hip and Knee Arthroplasty. Clifford Colwell Jr. MD, Mark Froimson, MD, Scott Anseth, MD, Nicholas Giori, MD, Pamela Pulido, BSN, and C. Lowery Barnes, MD; Journal of Bone and Joint Surgical, 2014; 96: 177-83. Thromboprophylaxis in Orthopedic Surgery: How Long Is Long Enough? James Muntz, MD, FACP; American Journal of Orthopedics: 2009; 38: 394-401. Identifying Patients at High Risk for Venous Thromboembolism Requiring Treatment After Outpatient Surgery. Christopher J. Pannucci, MD, MS,∗ Amy Shanks, MS,†Marc J. Moote, PA-C,‡Vinita Bahl, DMD, MPP,§ Paul S. Cederna, MD,∗ Norah N. Naughton, MD,†Thomas W. Wakeﬁeld, MD, Peter K. Henke, MD, Darrell A. Campbell, MD,‡and Sachin Kheterpal, MD, MBA; Annals of Surgery; 2012, 00: 1-7. 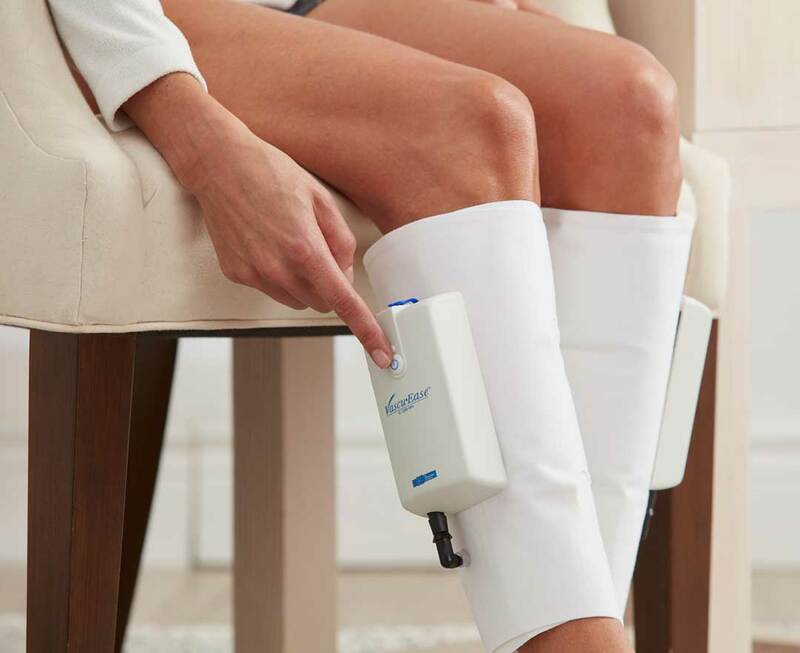 Evidence-Based Compression Prevention of Stasis and Deep Vein Thrombosis. Rhys J. Morris, PhD, and John P. Woodcock, PhD, DSc, CPhys, FInstP. Annals of Surgery; 2004; 239: 162-171. Effective of Intermittent Pneumatic Compression Devices for Venous Thromboembolism Prophylaxis in High-risk Surgical and Medical Patients. Project # 09-010; 2015; Prepared for the Dept of Veterans Affairs and Veterans Health Administration. Prevention of Venous Thromboembolism in VA Hospitals; Report No. 06-02459-209; September 26, 2008.